Andreas Buenter will team up with several leading experts from various industries to release the new book, “Masters of Success: The World's Leading Entrepreneurs and Professionals Reveal Their Secrets For Mastering Success In Health, Wealth and Lifestyle” by CelebrityPress®. Ennetbaden, Switzerland—May 25, 2016 – Andreas Buenter, founder and partner of Buenter Management Ltd, has joined Brian Tracy, along with a select group of experts and professionals, to co-write the forthcoming book titled, Masters of Success: The World's Leading Entrepreneurs and Professionals Reveal Their Secrets For Mastering Success In Health, Wealth and Lifestyle. Nick Nanton, Esq., along with business partner, JW Dicks, Esq., the leading agents to Celebrity Experts® worldwide, recently signed a publishing deal with Buenter to contribute his expertise to the book, which will be released under their CelebrityPress® imprint. Andreas helps his clients to get to a new level in cost and sales. Growing up in Switzerland, he was always interested in numbers and how businesses work, and so he began his career with a commercial internship with a regional bank in Lucerne. He developed a passion for investment research in various positions in international private banking. 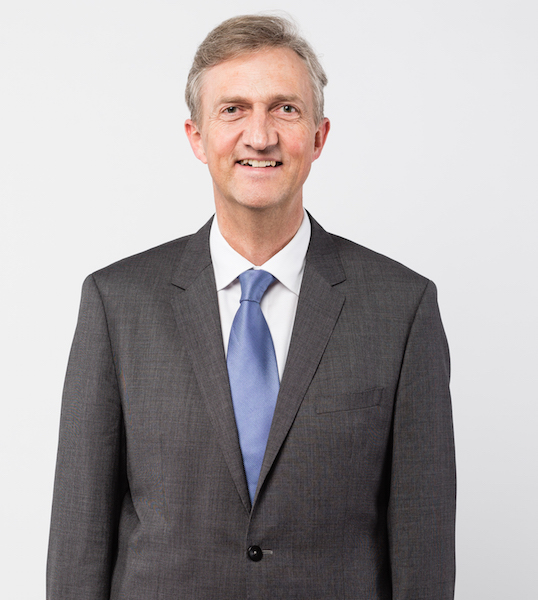 In 1991, Andreas founded his first consulting company with regard to the topic of independent investment research, sector, and company analyses. Within eight years, he worked on more than 3,000 company analyses from over twenty industries. Running analyses, creative development of options, clear recommendations, improving existing workflows, and inspiring people continue to be his passions today. With increasing success of his own business, and temporarily large setbacks, the demands on marketing, sales, leadership, people and financial management, restructuring, M&A (mergers and acquisitions) steadily increased. Today, Andreas’s consulting business encompasses international clients of all sizes, from individual management consultants to owners of family businesses and CFOs of publically listed corporations. Andreas Buenter is fluent in German, English, French, and Swiss-German. He is a qualified bank officer, a business economist, certified financial analyst and asset manager as well as CIIA (Certified International Investment Analyst). He is the founder and partner of the Buenter Management Ltd., a consulting and private equity boutique based near Zurich, Switzerland. Andreas is the Expense Reduction Analysists’ Area Director of Switzerland, an organization that – together with 700 partners worldwide – is a leading consulting company for reducing indirect costs. Since 2016, Andreas is also the founder of www.getyourexpert.com, a knowledge, referral, and advanced business-training platform for consultants from both management and other disciplines. Furthermore, he is the partner of the M&A consulting company Millennium Associates Ltd., based in Zurich and London. For over ten years, he was chief analyst of the market-leading publication “Die Aktien-Analyse” (“The Stock Analyst”), which has several thousand readers and is published by the Verlag für die Deutsche Wirtschaft AG based in Bonn, Germany. He has held talks and keynotes about sales, corporate finance, and entrepreneurship in Switzerland, Germany, Italy, Spain, Great Britain, and Qatar. He is a regular contributor to blogs and an accredited sales coach and developed the “9step Sales Process” for consultants of Expense Reduction Analysts in Europe. He is the winner of the 2013 Silver and 2014 and 2015 Gold Award for Outstanding Achievements in Sales & Client Management and the 2014 Winner of the Quality Award by its peers.